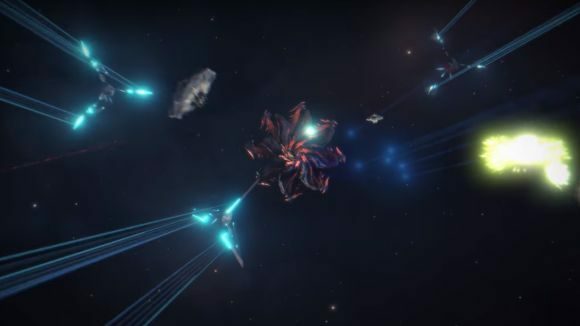 Elite Dangerous: Beyond – Chapter Three (as wordy a title as that is) is nearly upon us, with the announced release date of August 28 approaching fast. Up to now, we’ve only had a brief teaser trailer to show the way, but at Gamescom Frontier showed plenty more of what to expect. Among other things, we’ll have new weapons, new mission types, and a new ship called the Crusader. The Alliance Crusader is similar in combat ability to the Chieftain and the Challenger – but it adds ship-launched fighters for even more firepower. There are new, space-based locations to explore, which will have you prodding Guardian beacons to find out what they they do and where they lead. Naturally, there’ll be some new tech to uncover, as well as a handful of new Guardian fighters to contend with as well. Those fighters’ blueprints can be uncovered from those beacons. If their reveal trailer (which you can watch below) is anything to go by, there’s little ambiguity as to what they’re supposed to be used for. All three Guardian fighters are fast, agile, and are kitted out with some impressive weaponry. There’s the Trident, which comes with a Plasma Launcher, the Javelin, armed with a Shard Launcher, and finally the Lance, kitted out with a Gauss Projector. Take a look below, as they take on a Thargoid ship. You can also expect new weapons, of course, including a, er, large list of large additions. Large dumbfire missile, large seeking missile, large torpedo launcher, and a large multicannon in turreted configuration. The human tech broker gets a small shock cannon in turret, gimballed, and fixed configs. The Guardian tech broker gets a small plasma launcher, small shard cannon, and small gauss cannon, all available in turret and fixed variations. The new update will also bring new mission types, including planetary settlement wing missions. Abandoned settlements will offer players a more chances to dig into the lore and each location’s unique backstory. Out in Colonia, players will now have access to engineers, with special ones to find, and upgrades unlock as you build new tech with them. Chapter Three is billed as a smaller update than either the first (or upcoming fourth) content drop this year, similar in scope to Chapter Two which launched a few months ago. We’re now less than a week away from the new chapter’s launch, so you won’t have much longer to wait in checking out the added features.